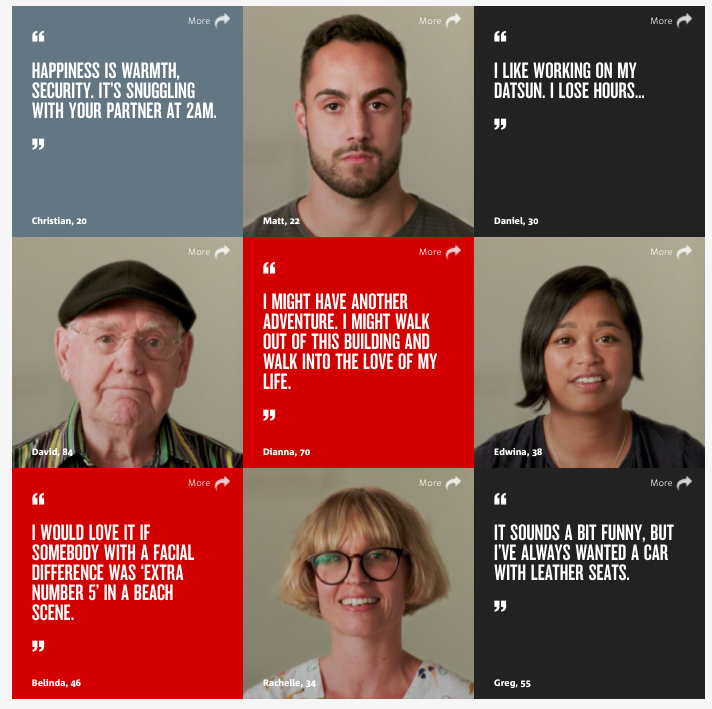 The campaign by Clemenger BBDO Melbourne is a short film following the journey of real NAB customers and the bank's employees talking about what they care about most and explains how NAB can help customers achieve goals. Chief Marketing Officer of NAB, Andrew Knott, says the campaign aims to encourage Australians to take action and reflect on what's important in their lives. Only 15% of Australians talk to themselves on a regular basis about what they really want. Nearly three quarters of Aussies (71%) don't have a firm idea of what they want from lift. Around two in five Australians (41%) never set goals for themselves. For some people, it’s more time with the family. Some want to ease into retirement. Others want to reconnect with themselves travelling through India. Maybe you want to open your own business, or to buy your own home. BigDatr first picked up the campaign on February 11th across Television with mostly 30 second ad spots, followed by poster and large format outdoor campaigns. NAB's pool of campaigns including the launch of 'More Than Money', 'Last Five' and now 'Talk To Yourself More' fit well into their overall narrative of 'More Than Money' brand alignment. We look forward to following the journey of the campaign as it rolls out across digital and social. Get access to how the campaign is running with TV TARP results by logging in. Learn more about Ad Performance here. To gain access to TV TARP results on any campaign click here.